They Stole P5's Japanese Voice Data and Delivered it to Atlus! The Phantom Thieves - there's no stopping them! They pulled a daring heist just to prove how powerful they are and that no obstacle is insurmountable. I'm saying that they've done the impossible and stole the P5 Japanese VO data and delivered it to Atlus USA for inclusion in the western release of the game as free DLC at launch! PERSONA 5 WILL HAVE DUAL AUDIO IN THE WEST. But, as is the case, this means we are going to have to nudge our launch back just a bit - Persona 5 will now release on April 4, 2017. I know, I know - the wait has been agonizing, but the Japanese release of Persona 5 smashed all our expectations, and as a company, we decided that we owed our fans the very best effort to make Persona 5 our gold standard in localization. Practically, this means redoubling our QA and localization efforts, even returning to the studio to record previously unvoiced lines. We don't want to rush this game (yes, you can still post a "Winter 2014" crack on Twitter, but I'm rolling my eyes at you), and in this case, it meant we needed to move the release back for the last time. We're streaming P5 right now. But we're not done there. Oh no, we're not done even a little bit. I think that's all for the exploits of the Phantom Thieves, but we have some more news still! Way back when we first revealed the P5 "Take Your Heart" premium edition, there were a lot of placeholders for the artwork. Well now we have the updated version of the artwork, which you can see below! The art book, soundtrack CD, SteelBook™ case and collectible outer box have all been updated! Don't stop there, we also have two new members of the Phantom Thieves to reveal. 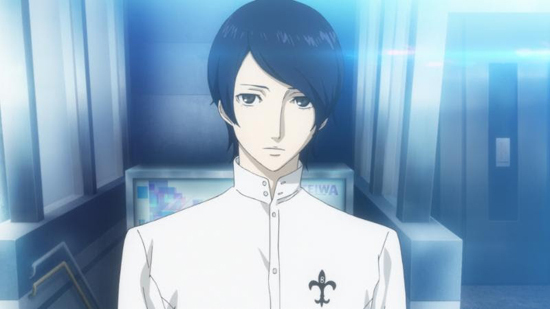 First off, we've got the elegant Yusuke Kitagawa. He can most aptly be described as an artistic savant, and his love for aesthetics and talent for art is second to none. Unlike the rest of the Phantom Thieves, this Bohemian beatnik attends Kosei High School and joins the motley crew after a very fateful event involving his art mentor/idol Madarame. Although Yusuke can be eccentric, codename Fox harnesses his love of true beauty to help the Phantom Thieves. I mean, it wouldn't be a group of social misfits without at least one starving artist right?